The centre for the Indological Studies and Research, during the last ten years, has introduced a balance course to study art appreciation with special emphasis on Indian art in relation to both classical and contemporary trends. This course has generated a lot of interest among the participants from different walks of life. They are eager to learn how to appreciate the vast and varied vistas of Indian art. This course further includes a study of architecture, fine arts and other forms of folk art to widen the ambit of art appreciation. A comprehensive handbook for the students was a long felt necessity to offer positive help on the subject. The present handbook is not only expected to serve the interest of the participants alone but it would also be help to the larger section of people who are really enthusiastic about the subject. This handbook contains articles which are written by such connoisseurs of art, as are renowned in their respective fields of studies. Art in life is like salt in cooking. A pinch of salt more, or less, spoils the taste of food. The same is equally true about the role played by art, with a difference. Unlike salt we do not usually recognize its omnipresent role in daily life. There are many among us, educated in all other branches of studies excepting art, who proudly proclaim how little they do understand, or care about, art and yet live along successfully. This unforced ignorance about art, in life of so many men and women of today who appear to be happy enough, easily raises one question, why study art. Its answer lies, fortunately enough, in their life itself. They may not have cultivated the faculty of appreciating art, but allow themselves to be ruled by it while remaining unaware of art controlling their life-style. Even a little mismatch in their sartorial preferences compels them to spend hours in front of their wardrobe to set things right. There remains a set of rules that dictate to us on how to dress, talk to others of unequal age and rank, decorate our interiors to live happily. These rules are neither seen nor written in textbooks to copy from and yet they manage to control living standards of human beings, unseen and inescapable. Need to study art, and how it interacts with our life, therefore can hardly be overstated. Appreciation of a work of art is the result of three active participants. The artist who creates it and his patron who arranges its materialization have one thing in common. Their active involvement ends soon after the artwork is finished. The importance of the connoisseurs, or rasika in Indian terms, starts from that point. It continues for ever or as long as the concerned work of art remains viewable. It is the role of the rasika we are primarily concerned with in these pages. 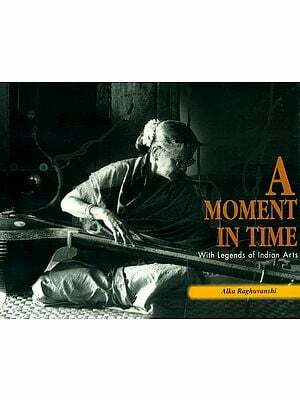 A rasika can introduce newer interpretations of the same work of art as time passes and changes occur in socio-economic front in tandem. The process of artistic creativity and its consumption in the eyes of the viewers thus merits our closer attention. The role of patrons of art also has undergone major changes in recent years. Artists no longer enjoy close interaction with their patrons. They often work, in contemporary art market, with no idea of who will buy and thus patronize which one of his creations. The rote of a rasika, in absence of a designated patron-profile, gains even more importance for the artists as well as for the development of art as a whole. The faculty of appreciating art lies in all of us. It remains in a nascent stage needing guided cultivation to achieve its true potential. There lies the importance of a regularized programme to learn appreciation of art. Swami Prabhanandaji Maharaj, while shouldering the responsibility of the Ramakrishna Mission Institute of Culture several years ago, had conceived the idea of initiating such a programme under the umbrella of its department of Indological Studies then headed by Swami Sarvabhutanandaji. Both of them were instrumental in shaping up a year-long course on appreciation of Indian art. Two years later it was converted into a postgraduate diploma course and has been continuing in this format with increasing students’ participation. Indian art, of all ages and up to the modern period, is included in the course curriculum and includes folk and minor arts. Parallel developments in the art of the West also form an integral part of the lecture-programme but do not share the same importance for obvious reasons. Paintings, sculpture, graphic art and murals, architecture and folk art, created in different states of India during the last two millennia, demand intense attention of students to learn the liner points of art of various periods and schools. The task of the students to find additional study material from a wide range of books, not always available in a single library, was difficult indeed. In order to help them in this difficult task the need for a collection of essays, detailing the various topics of the curriculum, was intensely felt. The initial idea for this compilation of essays grew from such a need. Teachers, specialists in their respective fields of studies, have been volunteering in the faculty of this course of study. They were requested to submit, in written form, what they had taught and the present volume contains only half of their collective effort. We wish to incorporate the suggestions of the readers while preparing to bring out the second part of this series. Materials used by the artists, in different geographical locations and at different times, had played a key role in dictating the final shape of the artwork done in the corresponding period. There was a time when artists had to prepare their own colours by grinding coloured earths and stones and semi-precious gems with suitable binders to make their own paint. Dried flowers and roots, even insects, yielded to them the colours they needed to paint with and these were not so readily available to them either. Technique of preparing their materials and methods of using them on canvas or wood etc. grew over the years. Artists’ guilds kept their secret recipes to be passed only to their own brotherhood. It is important to learn their painting techniques in order to appreciate their art. We have also to know how the art of the ancients differs to a large extent from the art of today. Modem art is characterized by commercially available paint supplies and an unlimited freedom to create individually. The present volume starts with a series of essays on materials used and techniques employed in creating painting, sculptures, murals and about various print-making techniques. Theory, in most branches of scientific studies, precedes practice. Not so in the field of arts where theory develops afterwards. The subject of Indian aesthetics is no exception. It has to be studied in this perspective in order to appreciate the development of Indian art. Classical glory as unfolded in the murals of Ajanta, architectural marvels in rock-cut caves and monumental temples, in sculptures and paintings also serves to illustrate the depth of Indian aesthetics. The art of India, during its various phases of foreign rule, had also been invaded by the imported cultures of the foreign rulers. The resultant developments of art eventually got integrated into the great river of Indian art that seems to continue its run with neither a defined starting point and nor an end in sight. Shadanga or the six limbs of Indian art serving as the foundation of its classical phase, thus needs increasing liberalization of standards and values. Only then can it cope with the changes taking place in aesthetic judgement of art in the modern era. Realism of Western art and the emphasis on reality in Indian art thus assumed stellar importance in the minds of artists as well as those of the rasikas. This was more so during the period when the primary target of the Indian nation was how to get rid of (he foreign rule, politically as well as culturally. The art of Bengal between 1850 and 1950 is characterized by an intense struggle of parallel aesthetics, each trying to gain control over the other. The spread of British academic style in India and the development of an art desiring to develop a national identity by dismissing all links with imported ideals, emergence of artists like Abanindranath Tagore, Ravi Verma, Nandalal Bose and Jamini Roy, Amrita Sher-Gill and Rabindranath Tagore, and an equally energized art viewership in tandem, contributed to the growth of modern Indian art that no longer depends on borrowed clutches of foreign origin in order to grow. These are the topics featuring in the present collection of essays and are aimed to help not only the students joining the study programme of the Institute of Culture but also to all those desirous of learning the same with little prior knowledge of the subject. Publication of the present volume, as previously stated, owes a great deal to the blessings and inspiring guidance of Swami Prabhanandaji and Swami Sarvabhutanandaji. The voluntary enthusiasm of the members of the faculty, who have contributed to this volume, also deserves a special mention and so does the effort put up by the members of the staff working in the Museums and the Art gallery of the Institute, but for whose untiring effort this publication could hardly have been possible. A special mention must be made of Swami Vedaswarupanandaji, Monk- in-Charge, and Sri Bimal Sen, in-charge (technical) of the Museum and Art gallery, whose selfless assistance is difficult to match. We are thankful to Sri Arun Dey for his relentless service for the upkeep of the manuscripts and proofs. Thanks are due to Sri Asoke Ghosh also for his photography and graphics (Colour Plates). We are also thankful to the authorities of the Indian Museum for their kind permission to reproduce artworks from their collection. In spite of so much help, received from so many not individually named here, there surely remain shortcomings in this volume and the fault lies entirely on us. We apologise and hope to do better, with inputs from the readers, in future. Unlike salt in cooking, one can never have enough of art in life.